How Many Times Must the Voters of Stephenson County Say NO? The answer is simple. If there are not changes on the Freeport School Board, this question will be put on the ballot at every election until it is passed. Vote NO and then vote for changes on the Freeport School Board. Tell the candidates that Freeport cannot afford a higher sales tax or higher property taxes. To make matters even worse, the City of Freeport led by Alderman Tom Klemm and Shawn Boldt would also like to see the City’s portion of the sales tax increased . More taxes are not the solution to every problem. Taxing bodies must live within their means. This entry was posted in Politics and tagged freeport school district 145, Sales tax, tax and spend on March 30, 2015 by Good Day Illinois. 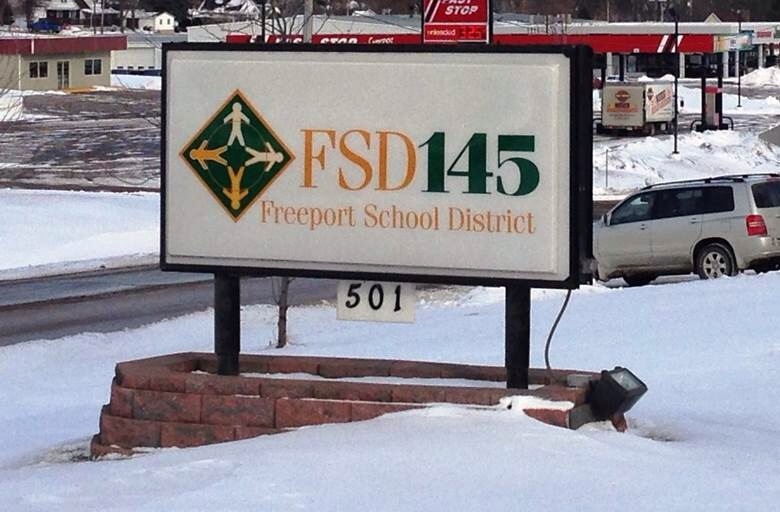 Freeport School Board Says To Hell With The Voters of Freeport! 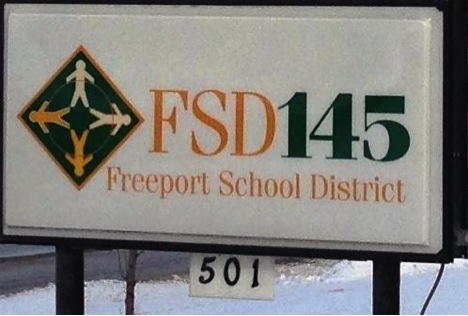 The Freeport School Board has already disregarded the wishes of the voters of Freeport when it voted to place the 1% sales tax increase on the ballot after if was soundly rejected by the voters last year. Now this same board wants to hire a new superintendent prior to the April election. In fact they are having two receptions so the public can meet the candidates on February 19 and 23. What a joke! This same board hired the last superintendent. It just doesn’t deserve another chance. This Board has a record of policy and personnel failures. It has shown that it lacks judgment and cannot be trusted. Go to the receptions and tell the candidates to go home until after the election! This entry was posted in City of Freeport and tagged freeport school district 145, voters speak on February 18, 2015 by Good Day Illinois. When Does NO Not Mean NO? Ask The Freeport School District! In March of 2014 the voters of Stephenson County soundly rejected a 1% increase in the sales tax on the people of Stephenson County for the benefit of school districts in the county with Freeport School District being the biggest beneficiary of this tax increase. The administrators (some now gone) at Freeport District promoted this tax with the support of some members of the school board who will also soon be gone. Now the Freeport School Board has voted to put the question of raising the sales tax 1% on the ballot again. No wonder our schools are in such bad shape when the administration does not know the meaning of the word “NO.” The administrators in the school district tell us that property taxes will go down. What a joke! 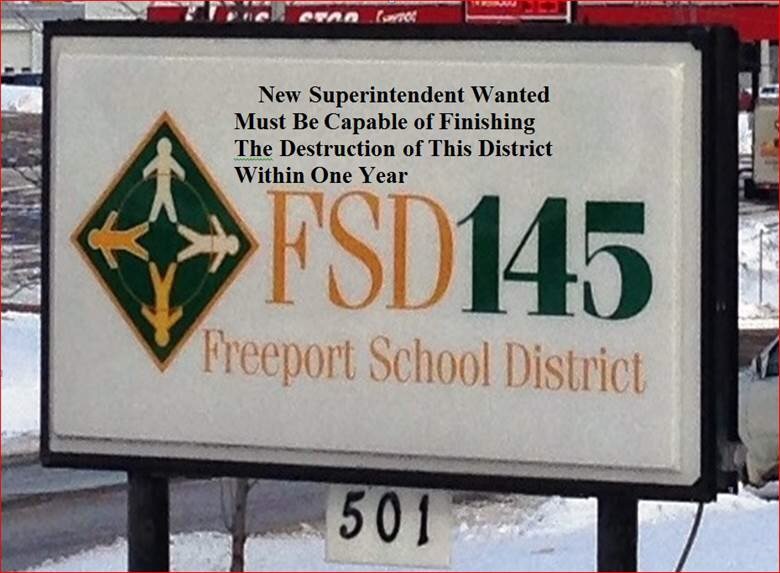 Give the Freeport District more money, and they will just spend more. 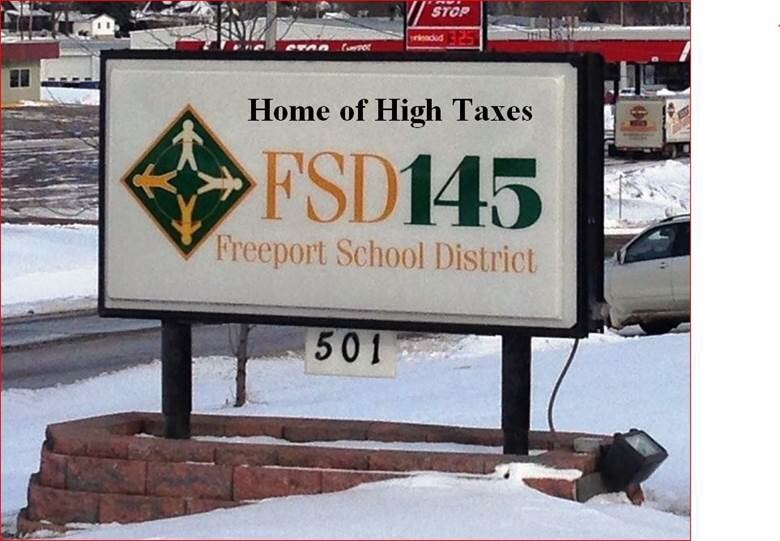 Now what is really sad about this whole mess is that those bureaucrats running the Freeport School District will be out promoting this tax at our expense. We are paying them to destroy this community. They have millions of dollars at their disposal and hundreds of employees to help them promote this tax. Administrators come and go, but taxes once levied are never reduced. There is only one truth in government – give them more money and they will spend it! This entry was posted in City of Freeport and tagged freeport school district 145, Sales tax, taxes on January 26, 2015 by Good Day Illinois. What’s Wrong with the Freeport School District? 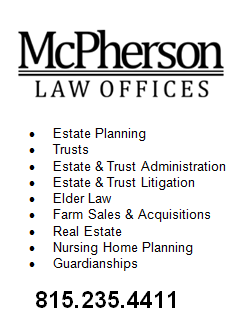 – Everything from Low Test Scores to Almost 60% of Your Real Estate Taxes Going to the This District! Janice Crutchfield, president of the Freeport School Board, on the district’s website states that the school superintendent, Roberta Selleck, will be on Administrative Assignment until further notice. In her statement the Board President states that the superintendent told a member of the media and some members of her staff that she (the superintendent) was staying home to care for her husband. Crutchfield then stated that this was not the basis for granting the leave request. See http://www.freeportschooldistrict.com/Page/1 On August 17 it was reported in the Journal Standard that Selleck was being paid during the leave and that former superintendent Peter Flynn was being paid $750 per day to lead the district. It’s nice to know that the Freeport District has this kind of money to throw around. Who cares? – certainly not this school board or administration. Just raise the tax rates so we can pay people for doing nothing! It is said that history repeats itself, but let’s hope this is not the case with Selleck. This entry was posted in City of Freeport and tagged freeport school district 145 on August 19, 2014 by Good Day Illinois. The mailing to the households in the District a few days before the election is a blatant attempt by this District to influence the election on Tuesday. The superintendent and her cohorts through this mailing misrepresent and distort the facts. This mailing does not even attempt to educate the public in an unbiased way presenting both sides of the issue. When did appointed administrators have the right to tell us at our expense how we should vote? Shame on the School Board for permitting such conduct. Here’s the Illinois Statute dealing with election interference. You decide if the law has been violated! (a) As used in this Section, “public funds” means any funds appropriated by the Illinois General Assembly or by any political subdivision of the State of Illinois. (b) No public funds shall be used to urge any elector to vote for or against any candidate or proposition, or be appropriated for political or campaign purposes to any candidate or political organization. This Section shall not prohibit the use of public funds for dissemination of factual information relative to any proposition appearing on an election ballot, or for dissemination of information and arguments published and distributed under law in connection with a proposition to amend the Constitution of the State of Illinois. (c) The first time any person violates any provision of this Section, that person shall be guilty of a Class B misdemeanor. Upon the second or any subsequent violation of any provision of this Section, the person violating any provision of this Section shall be guilty of a Class A misdemeanor. This entry was posted in Uncategorized and tagged freeport school district 145, referendum, Sales tax, violation of law on March 16, 2014 by Good Day Illinois.